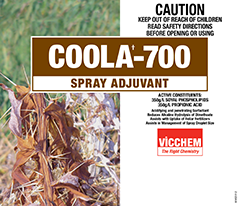 COOLA-700 is an acidifying and penetrating surfactant for use with many agrichemical products. The acidifying nature of COOLA-700 optimises the pH of the spray water for spray applications where an acidic pH is preferred. 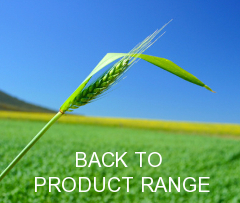 This is particularly useful for certain insecticides which can be quickly degraded in alkaline conditions. The acidic pH can also assist the uptake of certain systemic products. COOLA-700 will help to increase the droplet size produced from hydraulic nozzles, thus reducing the proportion of fine droplet which may be prone to drift off-target. For Glyphosate and Glyphosate mixes use 250 – 500mL/100L to optimise the spray water pH and assist spreading and penetration and reduce off-target damage.